Pernilla Jonsson is Associate Professor in economic history and is currently working at The Swedish National Audit Office. She has been a researcher at the Department of Economic History at Uppsala University, Sweden. 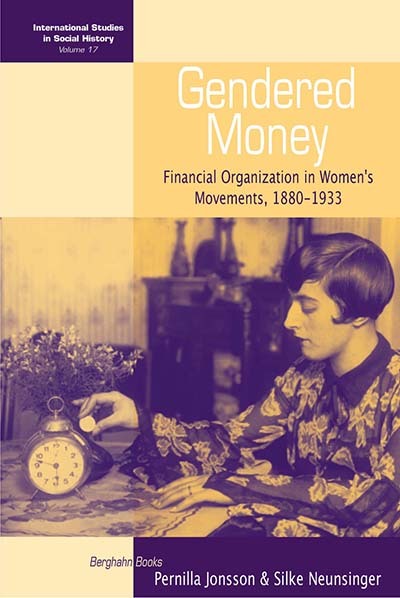 Her research deals with the influence of resources, financial strategies, and international networks on organizing and goal achievements in the first-wave women’s movement. She has also published on gender and the social reproduction of Swedish elites, as well as industrialization and marketing in 19th-century Sweden. Silke Neunsinger is Associate Professor in economic history and Coordinator of Research at the Labour Movement Archives and Library in Stockholm. She has been a researcher in the Department of Economic History, the Centre for Feminist research, and the Department of History at Uppsala University, Sweden. Her research deals with women’s right in the labor market, women in international and transnational social movements, and the global history of consumer cooperatives. She has also worked and published on methodological issues and comparative history. Introduction: Funding women’s political struggle – a matter of gender and class? How did resources matter for Swedish Feminist politics? The costs of gendered citizenship?